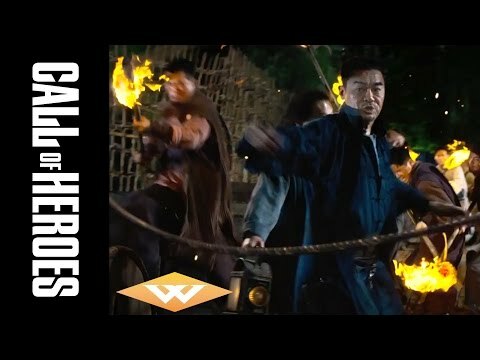 Multiple Award-Winning Director Benny Chan ("Big Bullet", "Connected", "The White Storm") directs a star-studded lineup of action stars in "Call of Heroes", starring Louis Koo ("Drug War"), Eddie Peng ("Cold War 2"), and Wu Jing ("Shaolin"), with Sammo Hung as action director. Koo stars as Cao, the spoiled son of a powerful General who has grown into a vicious and depraved warlord. Although Cao is accused of triple murder, his father will destroy the town if his son is convicted and sentenced to death. But injustice cannot go unanswered, and the villagers prepare for the repercussions of punishing a guilty man. Call of Heroes was released on Blu-ray and DVD 866d ago in the US. Notify me when Call of Heroes is available.